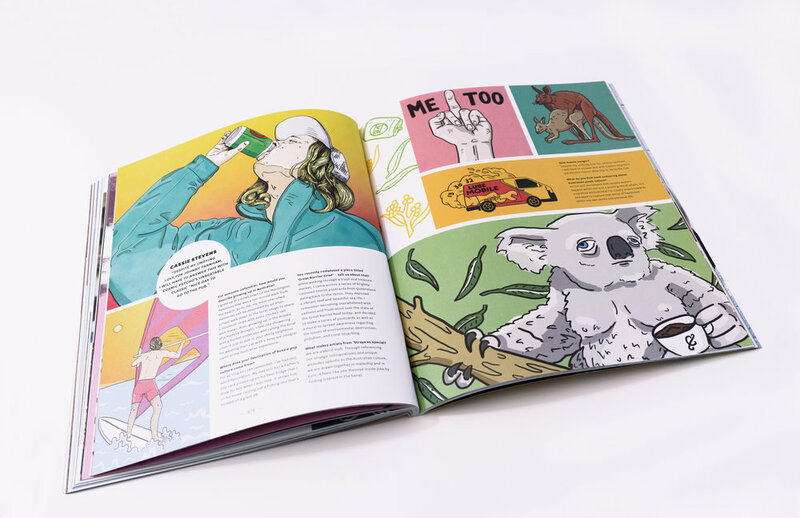 Our 15th issue 'Straya' will be hitting subscribers letterboxes from next week depending on what state you live and if Australia Post feels like putting the mag in your letterbox! (#shitcunts). People who have pre-ordered this issue will also be included in the first send out so keep a look out. There is still time though if you want to pre-order a copy as most mags will be sent out Monday and Tuesday next week, so get in quick to avoid being devvo. Straya will hit shelves in newsagents around Australia, Monday December 11. Check out below some of the spreads from our feature artists in this beaut edition.